Faye is a Case Management System Developer at CFG Law. 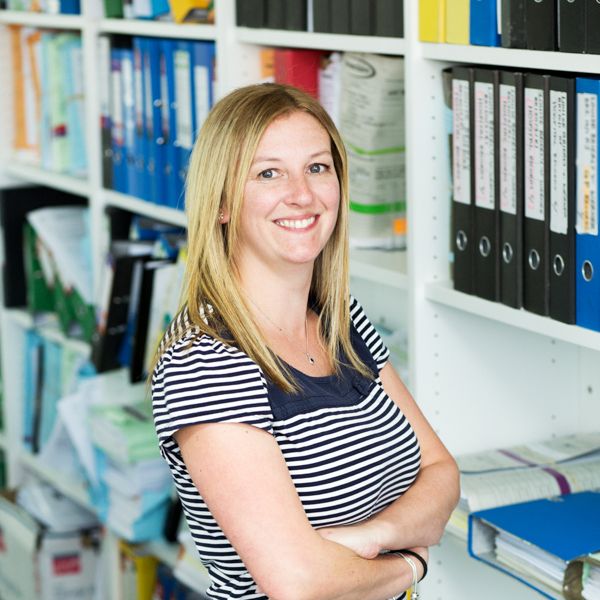 Having worked for the Practice for many years, Faye has developed many years’ experience in personal injury law. This background has provided a firm foundation for the development of our internal systems in order to streamline internal processes and provide a higher level of customer service to our clients. Faye believes that client care is of the utmost importance and strives to ensure that clients’ needs are at the heart of all of our processes. She approaches tasks with a methodical approach, considering all angles of a case to ensure any obstacles can be overcome easily and efficiently. Faye applies immense dedication and hard work to everything she does. Developing and maintaining our Case Management System to enable tasks to be completed efficiently in order to quickly respond to our clients’ needs. Improving communication channels to assist everyone to provide a better service to clients. Providing high levels of client care and ensuring clients are listened to and looked after on an individual basis. Listening and discussing innovative approaches to systems with colleagues to improve our services. The team spirit throughout the Practice. Ways in which our case management system can be developed and utilised to provide a better working and client experience. “Faye ticked all the boxes for me. She made this a stress free experience.” W.R.
“I was very pleased with the service I received from CFG Law. Faye Roberts was professional and the firm was prompt and helpful at all times.” M.J.